It’s back to the 1980’s once more, as LEGO Dimensions takes on another of the most beloved family movies of all time, The Goonies. A story of family, friendship, adventure, and pirate treasure and featuring a cast any director would envy to this day, The Goonies has certainly stood the test of time, almost guaranteed to appear in any “Best movies..” countdown – With names like Spielberg, Home Alone’s Chris Columbus and Superman director Richard Donner involved in the making, is anyone actually surprised? 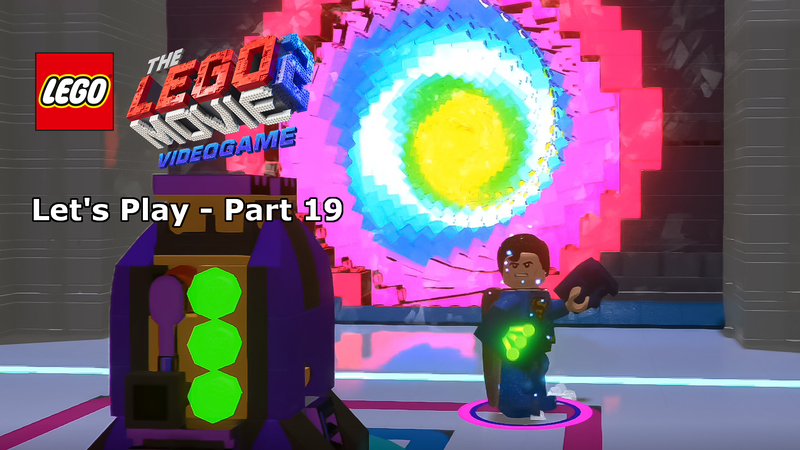 While 80’s classics have been a staple of LEGO Dimensions, most recently focusing on TV with Knight Rider and the A-Team, this is only the third movie to get a full level pack remake from that era after the similarly beloved Back to the Future and Ghostbusters. While Back to the Future didn’t quite deliver a stellar experience, TT Games did an exception job of bringing Venkman and the gang to life in brick form, even to the point where many fans were begging for a full standalone game, myself included. The Goonies is a very different beast altogether, though, having much more in common with the likes of E.T. and Gremlins tonally, two movies which have since joined the LEGO multi-verse, but only as fun packs. Will the LEGO truffle-shuffle win over fans of the movie? The big draw for LEGO collectors will, of course, be the Sloth minifigure included in the pack and so it’s no surprise that he is the character of choice for the physical set. 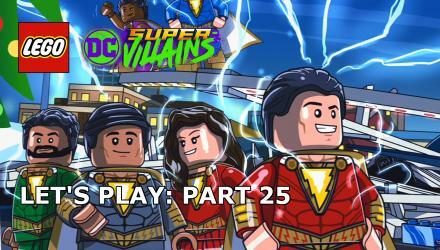 How do you increase the appeal of a LEGO set based on the movie which predominantly features child actors? Pick the one, completely out of the ordinary character to front the franchise. 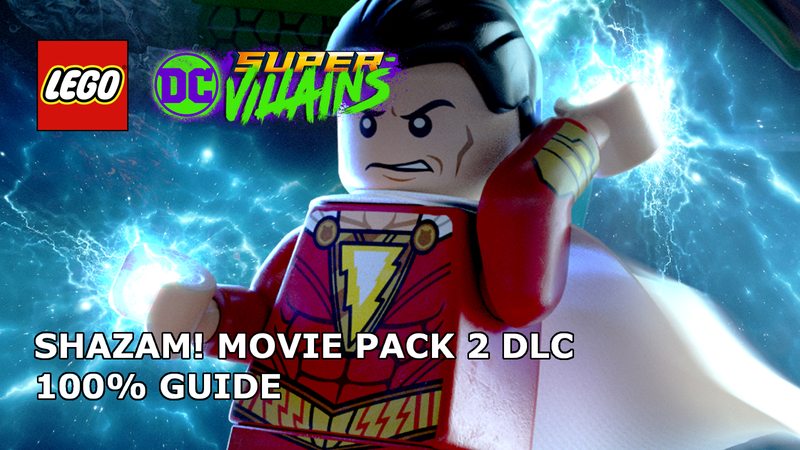 The LEGO Dimensions team pride themselves on their ability to bring characters to life in LEGO that you will never see anywhere else, it’s part of the appeal, and this Sloth minifigure is a brilliant example of them hitting the mark perfectly. Wearing his iconic superman ripped sleeved t-shirt and red braces, this LEGO Sloth is easily recognisable – well the large custom head-piece certainly helps a little, but we’ll get on to that shortly. The legs don’t offer much, being solid grey with no printing whatsoever, so it’s up to the torso to do a good portion of the work of bringing this character to life. Much like the movie, the blue used for the DC superhero’s top is much darker than that worn by Christopher Reeve’s at the time, in fact, it’s much closer to that of modern Superman. Aside from the famous ‘S’ emblem, the only other detail Sloth needs is his red braces which continue on to the back and criss-cross. The head-piece is an exclusive design, featuring just the one face with a large open mouth with crooked teeth. I’m actually impressed at how the designers have made Sloth look intimidating and happy in equal measure, much like his on-screen counterpart. The large egg-shaped head is created with a custom piece which clips on to the standard head. This is, of course, what really makes Sloth look the part. The piece consists of moulded ears, printed eyebrows and a small tuft of hair on top. As expected, the back features no additional detail. Sloth is easily one of my favourite exclusive LEGO Dimensions minifigures and as previously mentioned, surely, the biggest attraction of the set to collectors. 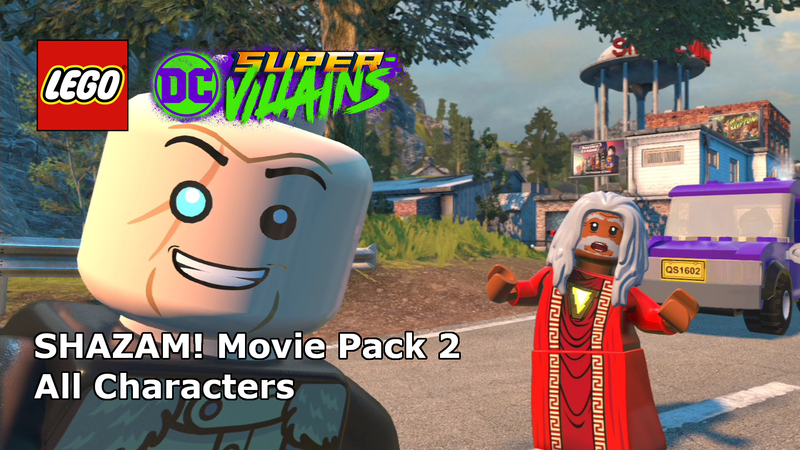 Along with Sloth, the pack also includes micro-builds for two gadgets modeled on some of the iconic scenery from the movie. One-Eyed Willy’s Pirate ship has been recreated beautifully in this set. A usable vehicle in-game, the build is great fun to build, the masts and sails created using brown telescope elements and white arched teeth pieces respectively. A simple 3×1 brown element is used for plank and the front uses a simply clip and rod to give the ship it looks. It’s the little cannons that really sell this for me, created using to clipped pieces, the effect is brilliant and adds so much additional detail to the already fantastic micro-build. In-game the default ship build can, of course, sail on water, with added bonus of being able to blow up silver bricks with the cannons, a fun experience for such a common feature. As per the standard Dimensions template, there are two additional configurations, the Fanged Fortune and the Inferno Cannon, the former featuring a water cannon and the latter working in the same way as the normal cannons. The Skeleton Organ is equally impressive in it’s design and look. Using 2×1 stud grate pieces for the keys over two levels was a design decision worthy of applause. The top half of the organ is cleverly constructed using a large spoked wheel to clip all the additional detail on to, the bone organ pipes created using small white clips. The large skeleton on the front is created using a standard bone-based minifigure minus the legs, with the bottom of the torso clipping on to the main build instead. In-game the organ brings it’s own unique gameplay in the form of organ ports to use. These ports bring up a mini game in which you must press different buttons in order to create music and unlock the puzzle. In addition, the organ can blow up silver pieces and use sonar to shatter glass. Again,there are two addition brick configurations available in-game, the Skeleton Jukebox and the Skele-Turkey (Yep, that is not a typo). While the former brings nothing new to the table, the Turkey does have the ability to fly, very handy to the closing parts of the new level. 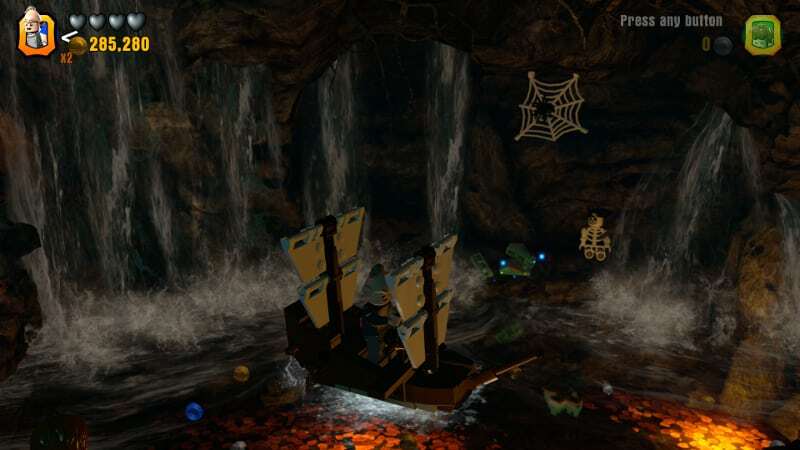 Moving on to the virtual goodies, the new level, entitled “Traps and treasure on a pirate adventure”, takes a very different approach from other level packs based on movies. Rather than focusing on squeezing the entire run-time into a few key scenes, the level starts part-way through the movie, at the point where Sloth is introduced. 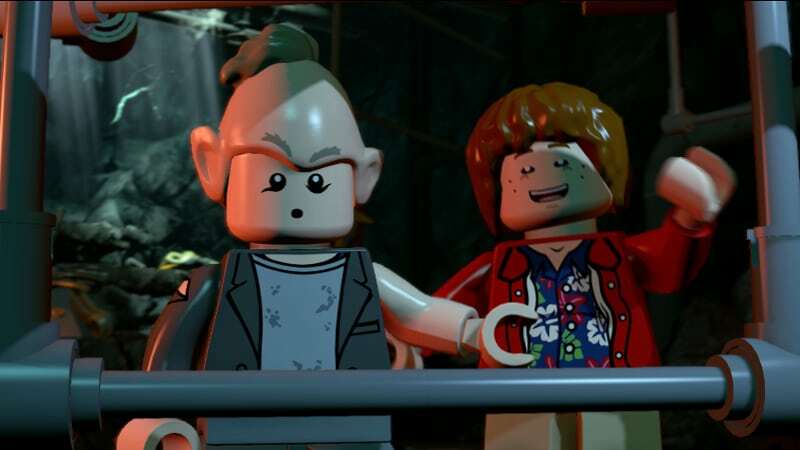 The first act of the movie is covered in a rather amusing LEGO wit inspired “Previously on The Goonies…”. Given the introductions and setup needed in the film, it’s actually a good thing that the game has skipped out most of the “boring stuff” and gone straight for the action. The level then covers Chunk and Sloth’s mission to save the others from the bad-guys, working their way through puzzle after puzzle until they reach One-Eyed Willy’s ship. The environments are epically detailed, filled to the brim with LEGO pirate paraphernalia and plenty of nods to the movie along the way. Unlike the other level packs, there are far fewer interruptions from a change of scene, this can be both a good and bad thing as the variety of play is somewhat restricted as a result. That said, each section of the level offers it’s own unique challenges, integrating existing keystone puzzle gameplay into the mix. You can speed through the level in about 30 minutes should you wish to, but realistically if you’re open to full exploration then there are a good few hours of extra gaming here, all the little nooks and crannies to investigate. Overall, a fun experience end to end, with only the best parts of the movie included. There is, of course, the open-world to explore, as well as the battle arena, both of which are themed around the movie and provide extra challenges and scenery to explore. The added bonus is that once you complete the level, you can exchange Sloth for any one of the main cast to play as in-game. 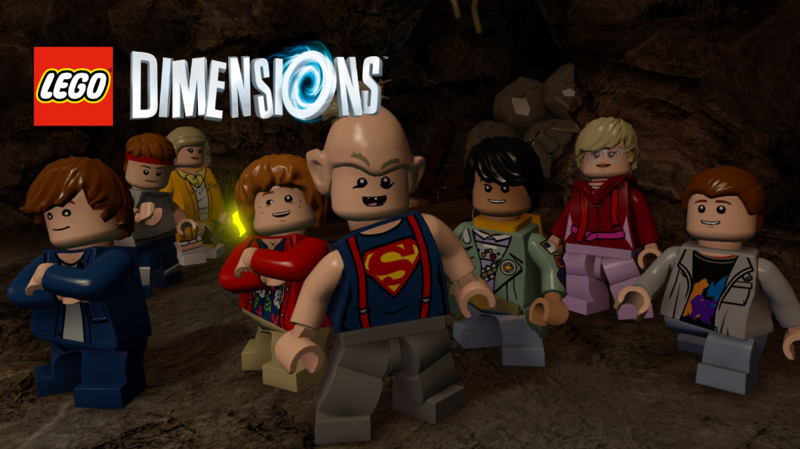 Overall, The Goonies level pack is LEGO Dimensions doing what it has done so well so nearly two-years, a refined movie adaptation which goes slightly off the established level pack template to ensure that only the best bits from the movie are where you spend your time gaming. The Sloth minifigure is a guaranteed collector’s item, fantastically recreation the monstrous character in all his hideous glory. The gadgets are stunning in their build detail and each adds a unique way to play a game that, by all rights, should be getting a bit tiresome and samey by now. It goes without saying that those who love the movie are going to get the best out of this pack, but there’s more than enough new puzzles, new gameplay and a good movie explanation in-game for anyone to jump in and join the adventure. Due to the setting, all of the environments in the level are very samey. Very little variation in look. 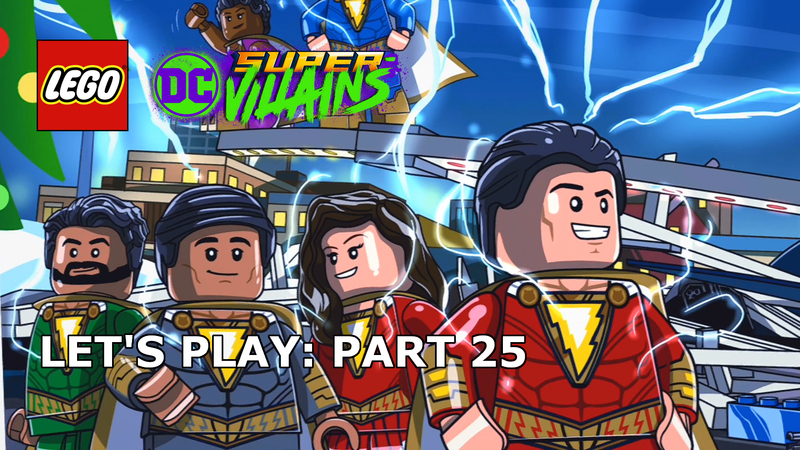 A superb mini figure, two beautiful gadget builds, and a level which takes a step away from the standard level pack formula, enable The Goonies to prove that LEGO Dimensions can continue to be fresh and fun with new ideas even after nearly two years. A fantastic nod to a classic movie. “Back to the Future” was actually the first ’80s popcorn flick to get a Lego Dimensions Level Pack. You’re not wrong, wow I’m disappointed in myself for forgetting that one, I even reviewed it. Updated, appreciate the heads up.